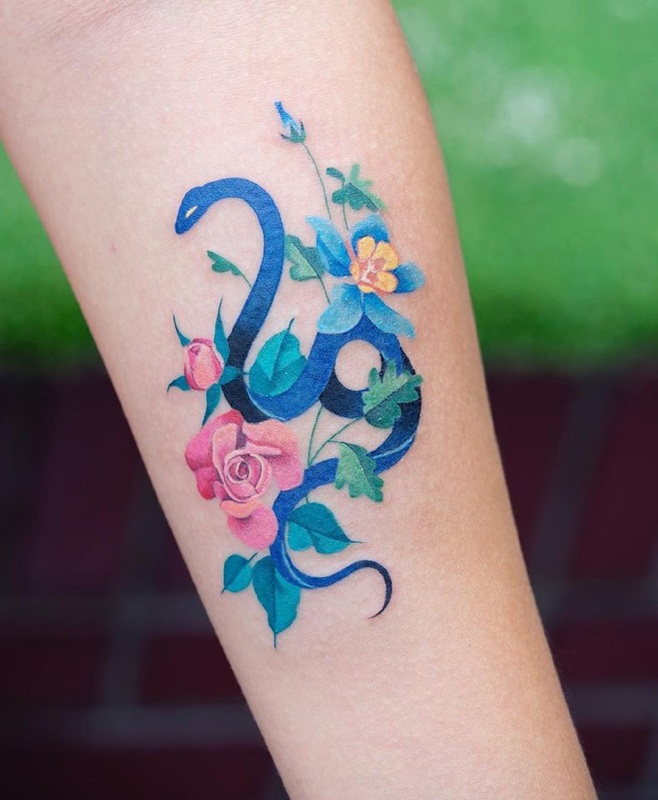 Eye-popping giraffes, tropical green leaves, and snakes entwined in floral motifs jump out in Korean designer Zihee Tattoo’s ink-based creations. 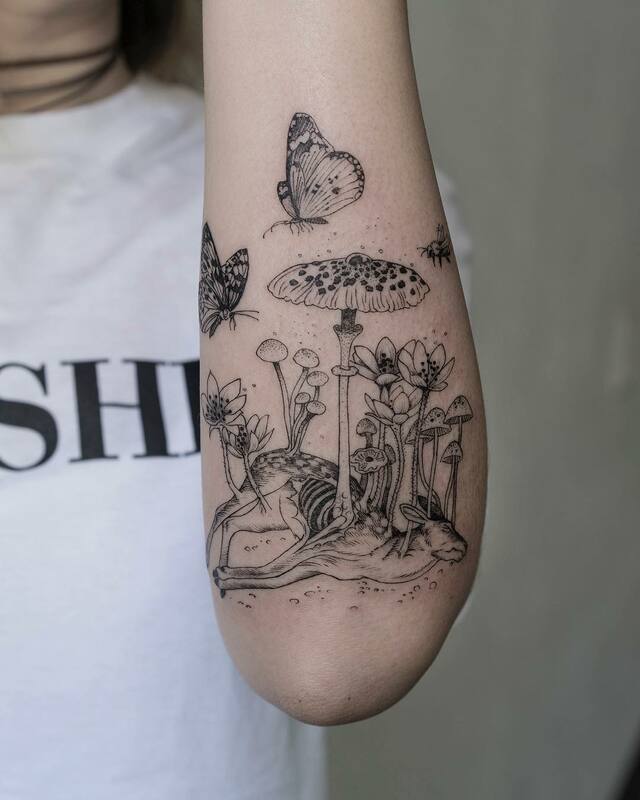 Inked on wrists, elbows, and thighs, Zihee adds a vivid splash of creativity to human skin, emphasizing the vibrancy and delicacy of natural forms. 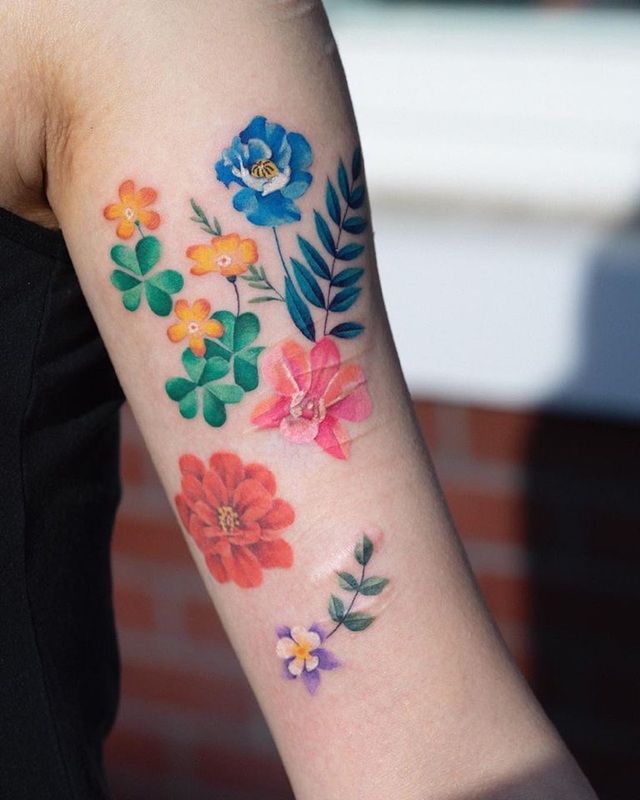 Brimming with every color in the rainbow—including lilacs, crimson reds, and sunflower yellows—Zihee’s work celebrates her interest in nature, while shading together pigments seamlessly. 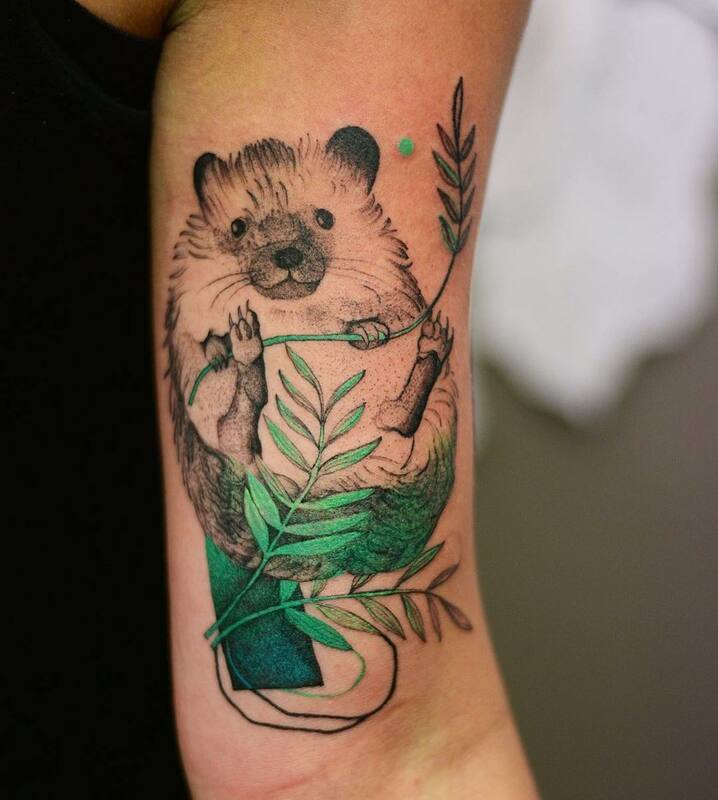 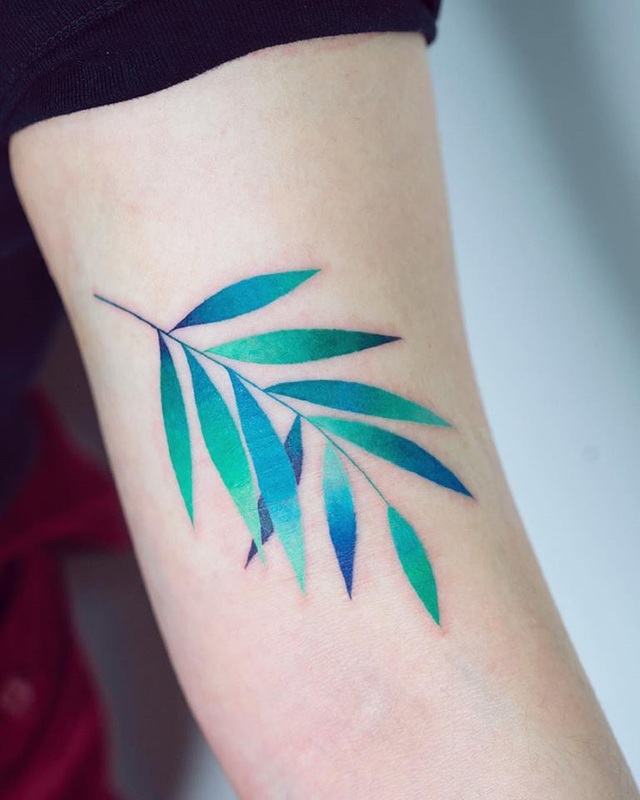 In her leaf tattoos, cool blues flow into luscious greens, reflecting how light manipulates the organic forms’ color as it lands upon them in nature. 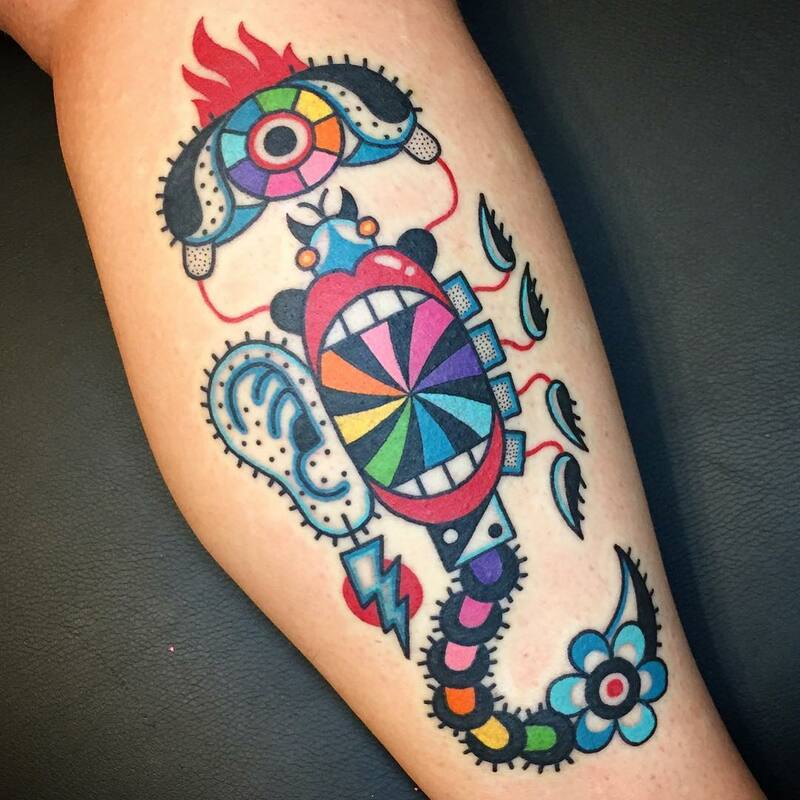 You can find more of Zihee’s work on Instagram. 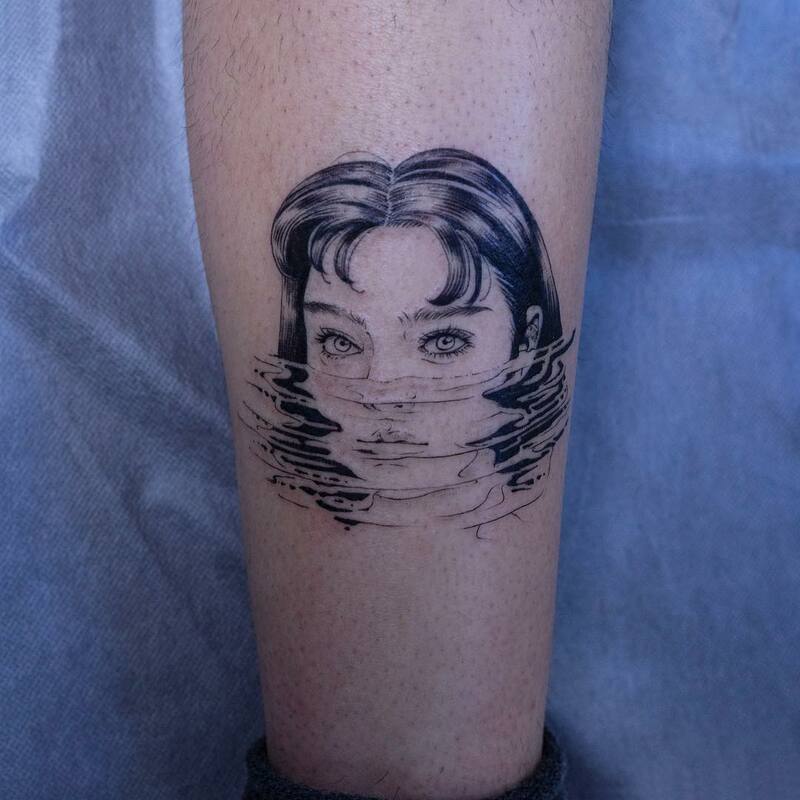 Oregon-based tattoo artist Dave, a.k.a. 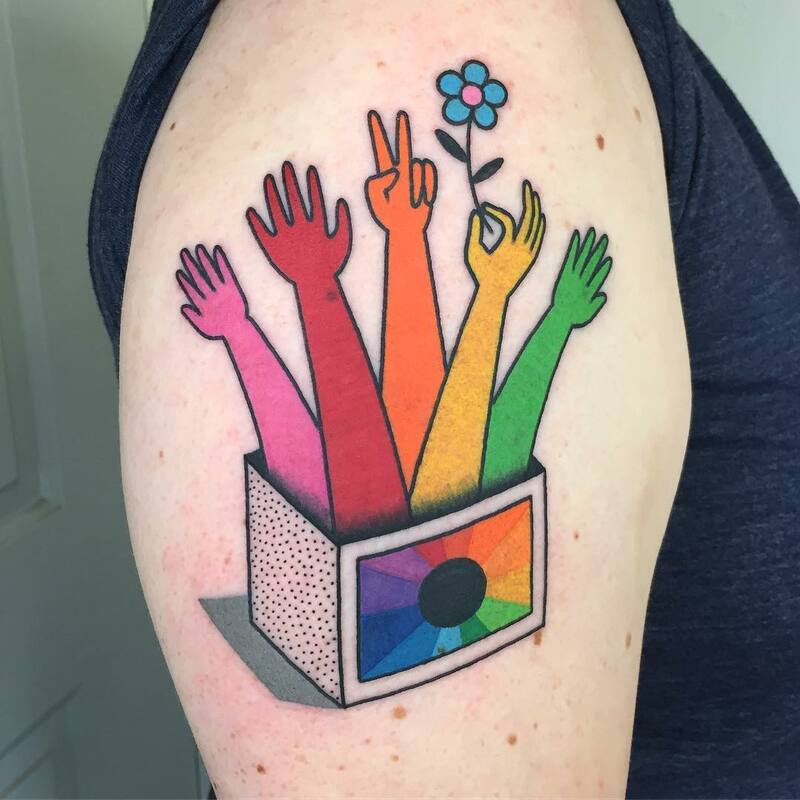 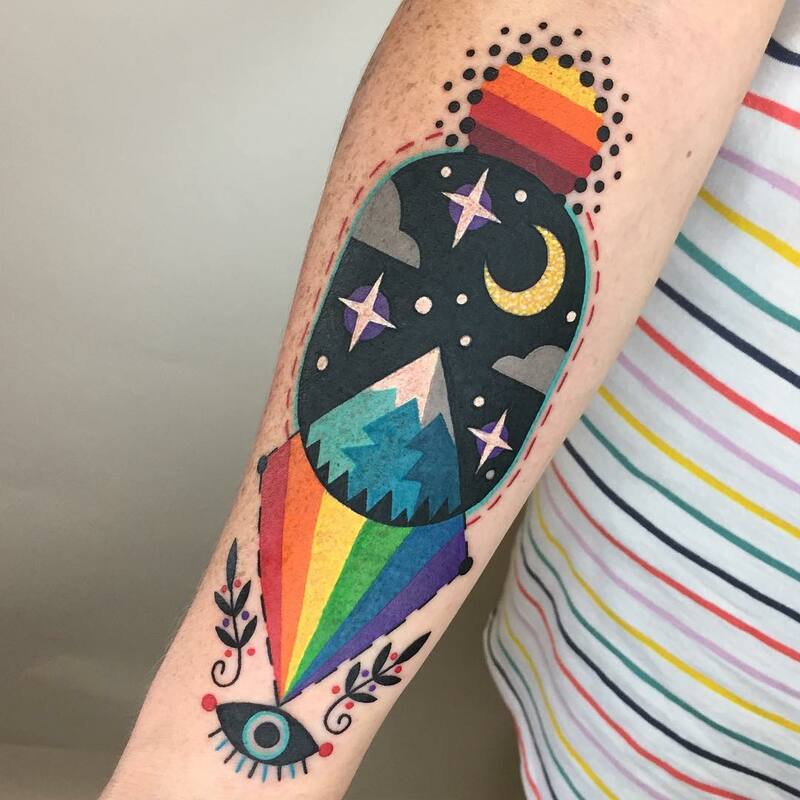 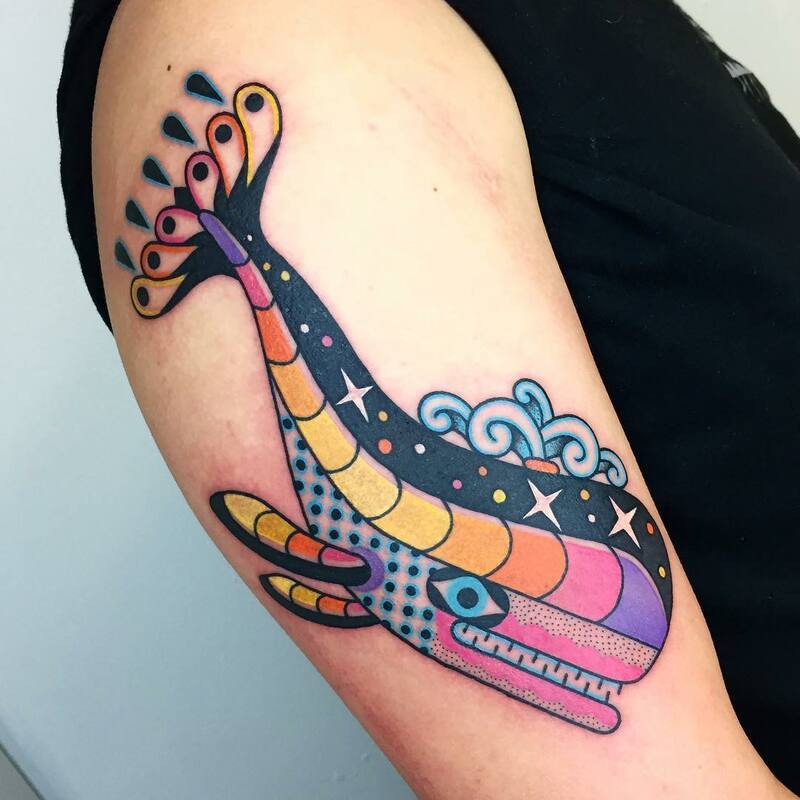 Winston the Whale, uses a wide spectrum of colors in his trippy tattoos. 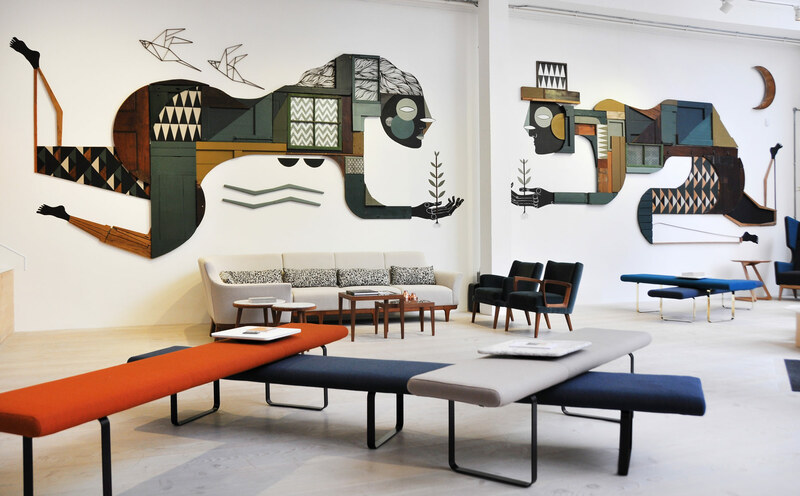 The works merge a 60s aesthetics with inspirations from Scandinavian folk art to Memphis design. 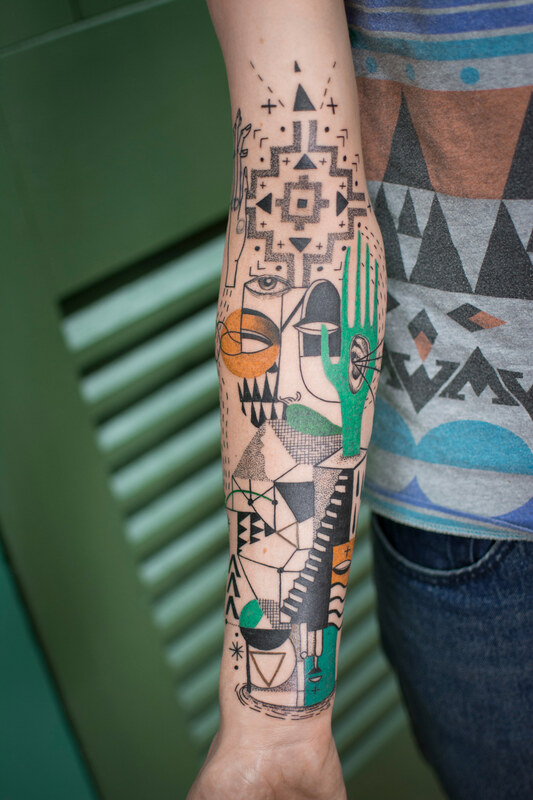 Traditional floral and vine motifs border prismatic mouths and starry-eyed bats, while other pieces focus more on an 80s appeal with graphic grids and squiggly yellow lines. 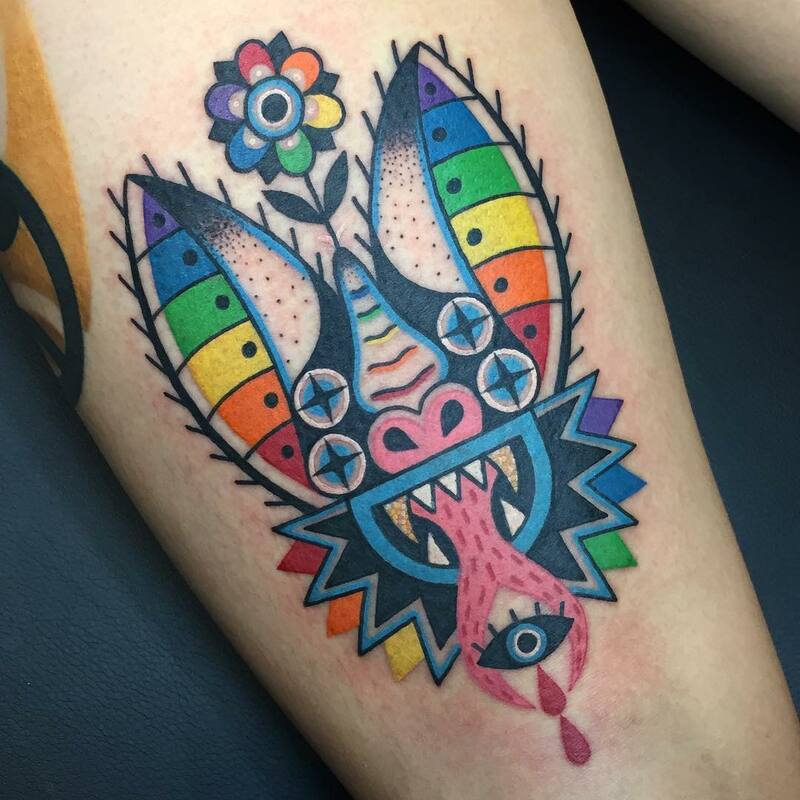 You can see more psychedelic compositions and brightly colored animals on Dave’s Instagram. 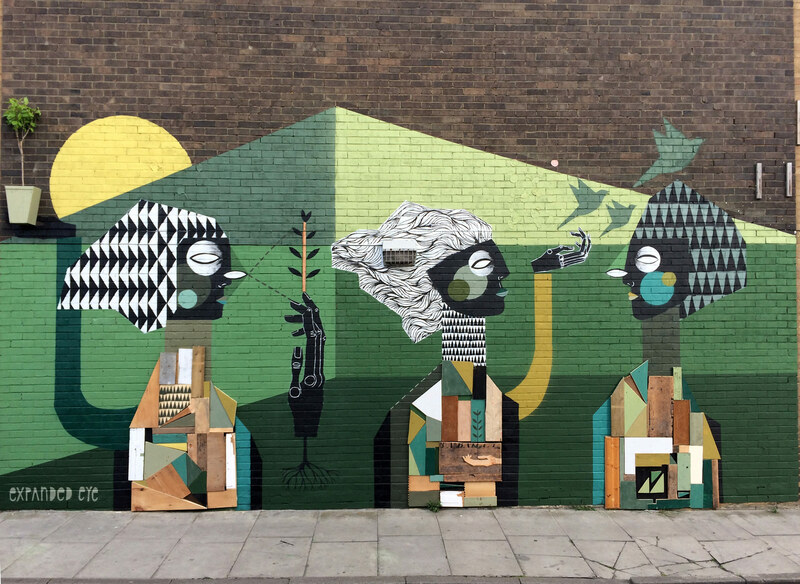 Expanded Eye (previously) is an arts collective formed by London-based artists Jade Tomlinson and Kevin James that utilizes a wide range of media to explore human consciousness and connectivity. 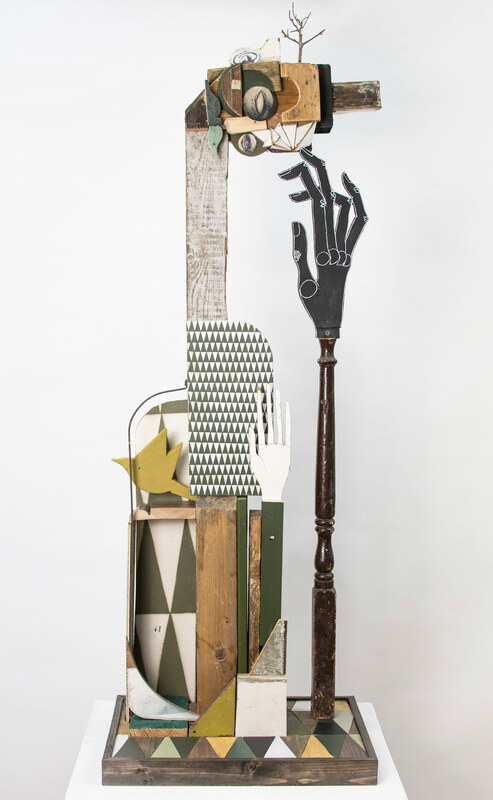 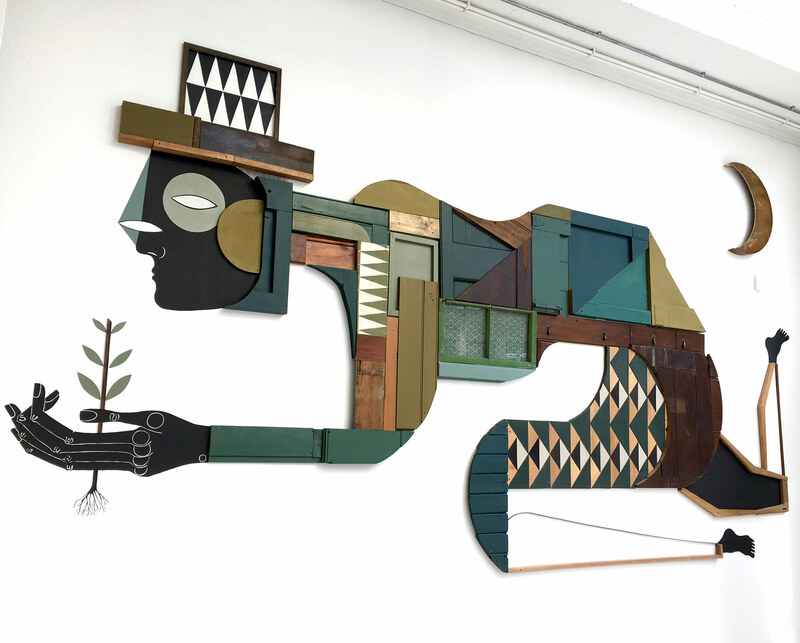 The pair use salvaged wood to create colorful assemblages, sculptures, and public murals each designed in their unmistakable geometric style. 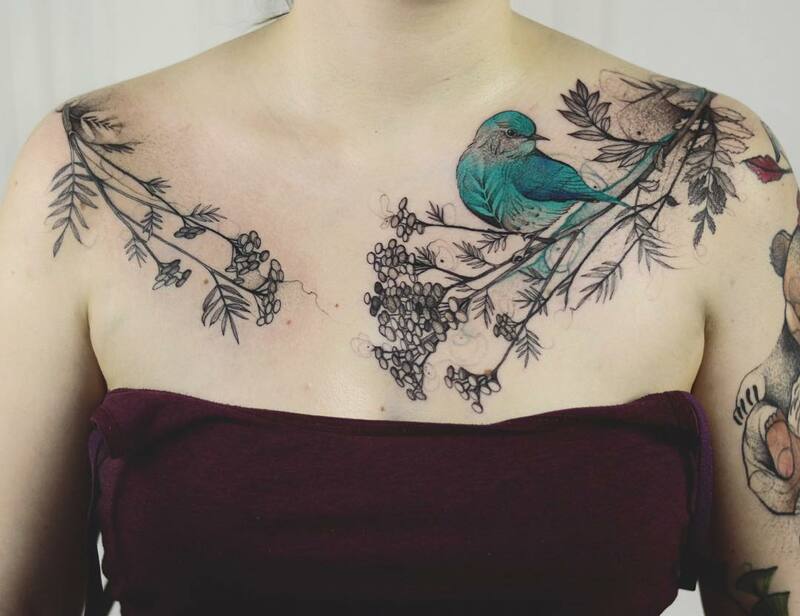 Natural elements such as plants and birds are common motifs in their three-dimensional works. 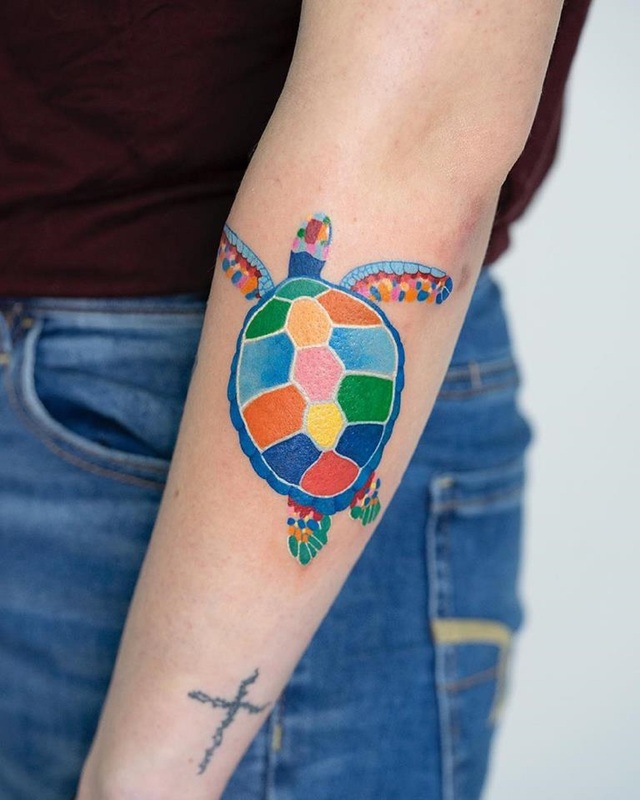 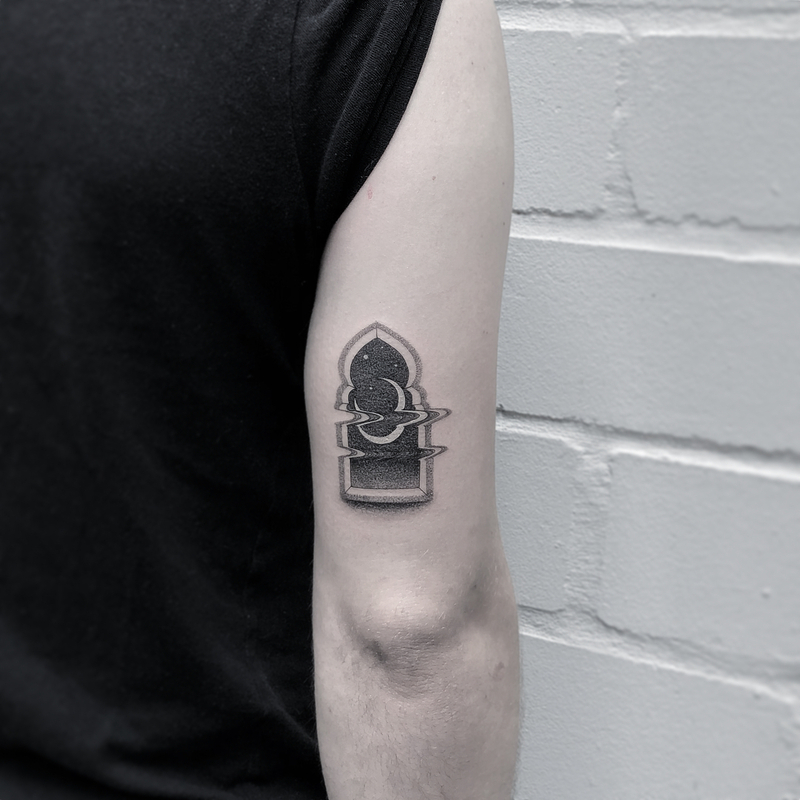 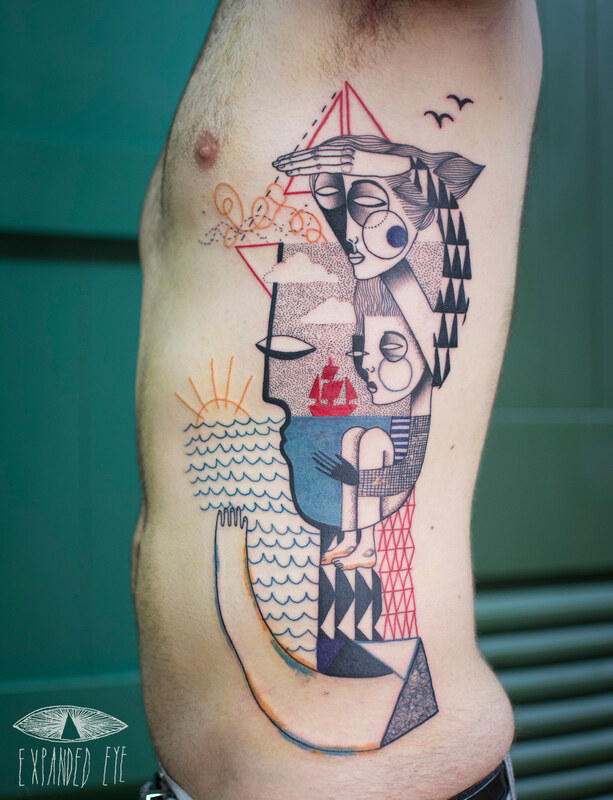 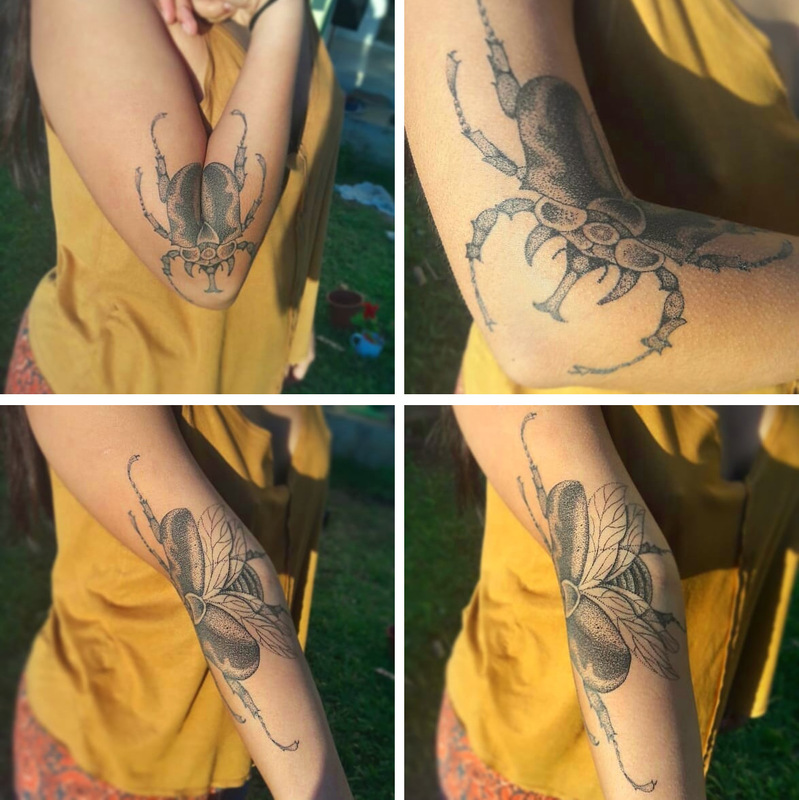 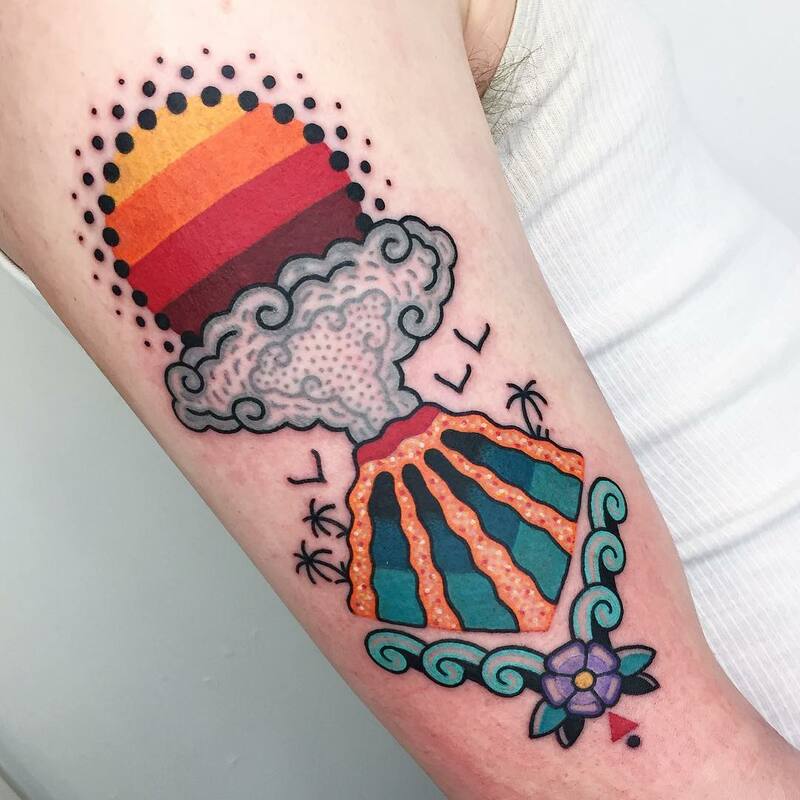 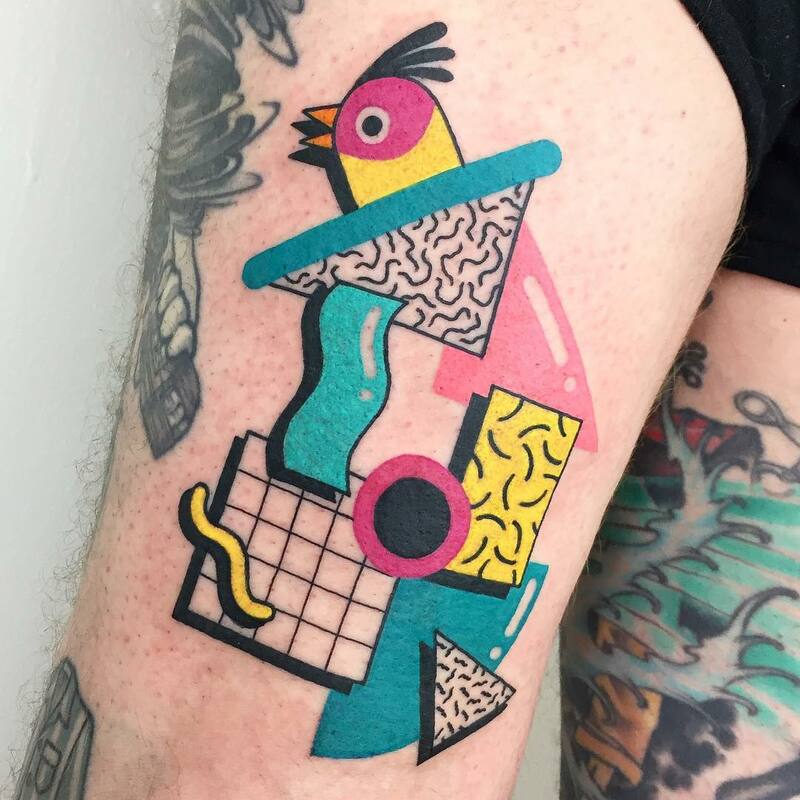 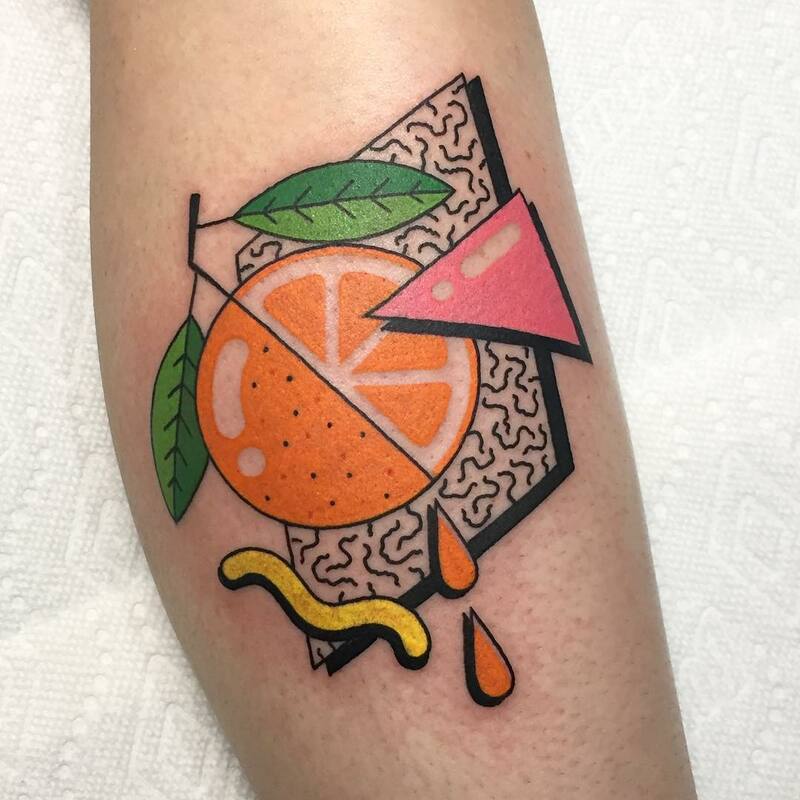 These images also cross over into their long-running tattoo practice which combines illustrated doodles, architecture-inspired renderings, and triangular patterns. 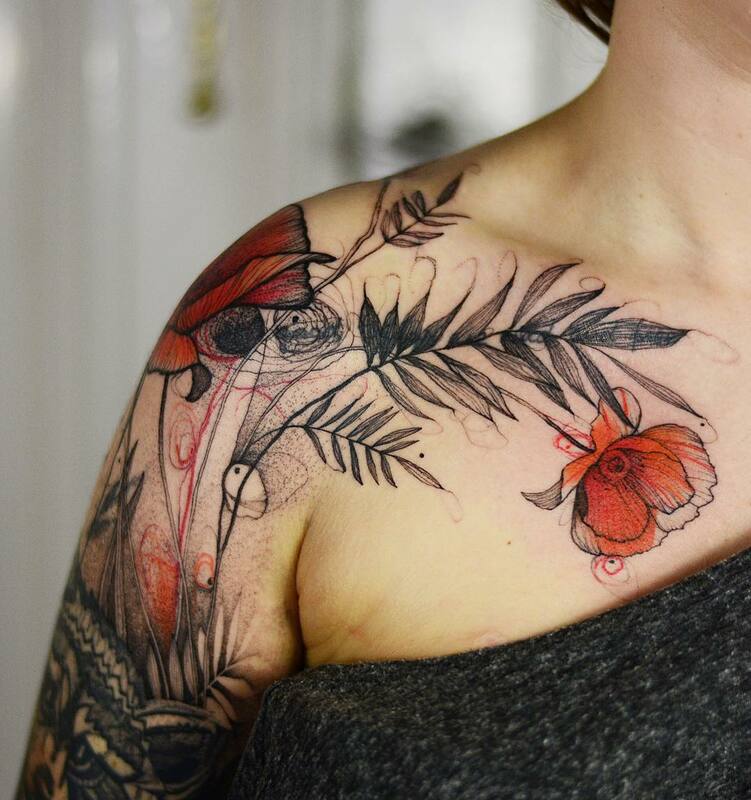 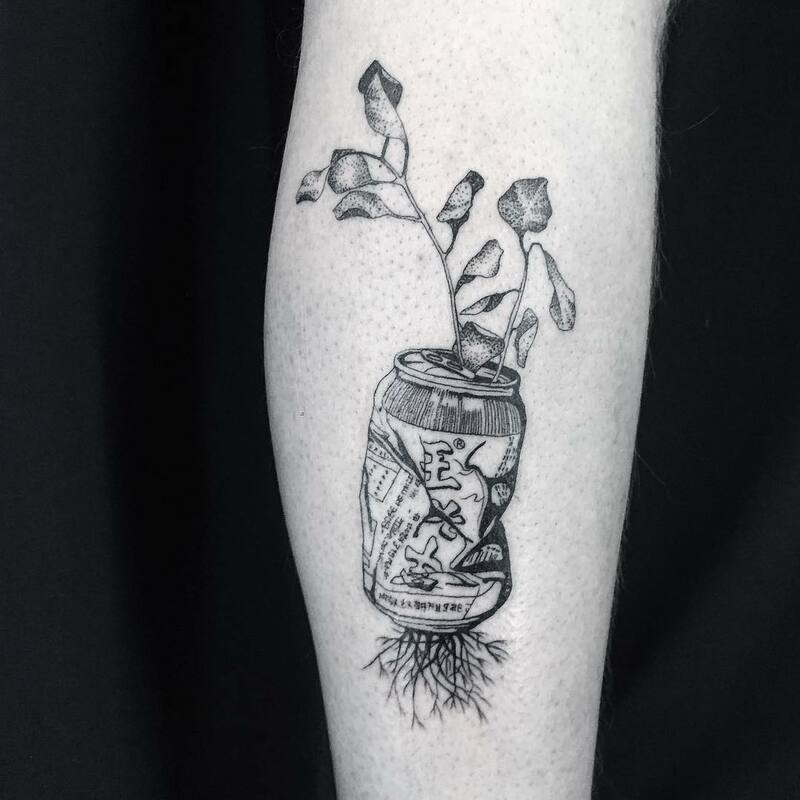 Wrocław-based tattoo artist Joanna Swirska, aka Dżo (previously), produces nature-based tattoos through her own psychedelic lens. 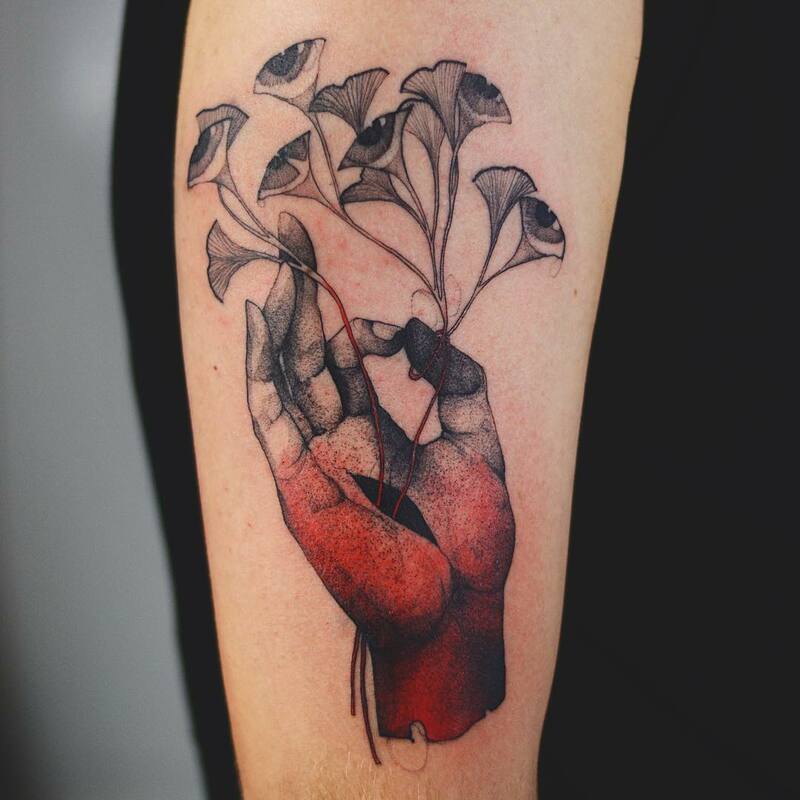 In one work a crystal-studded snail inches across ombre leaves, while in another, a ginkgo tree sprouts from the palm of a poised hand. 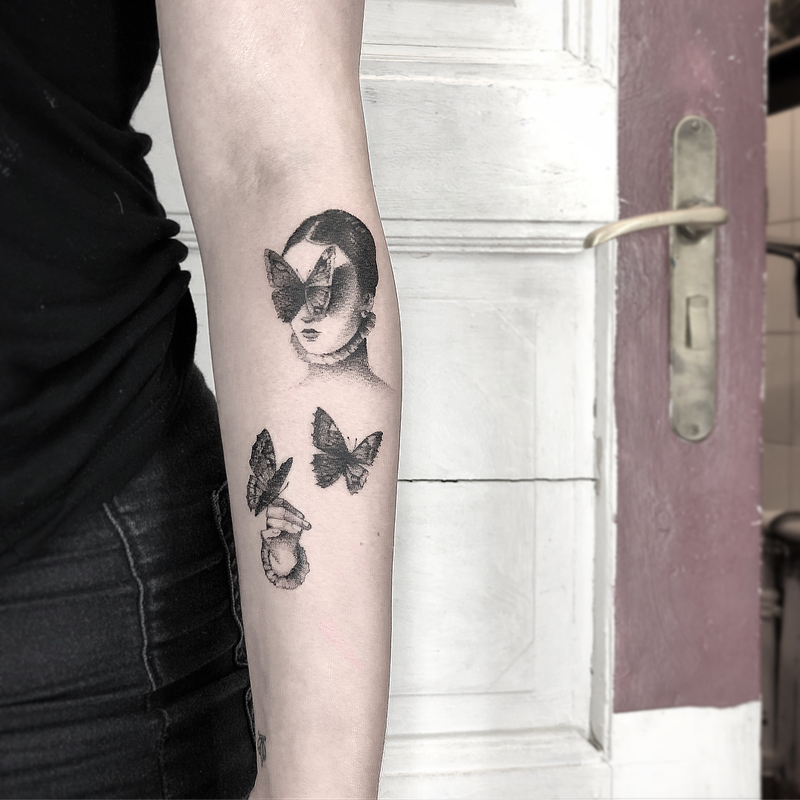 Human forms are often overlaid with plants or animal motifs, such as her Frida Kahlo tattoo above which features the detail of a deep red bird mask inked across the painter’s face. 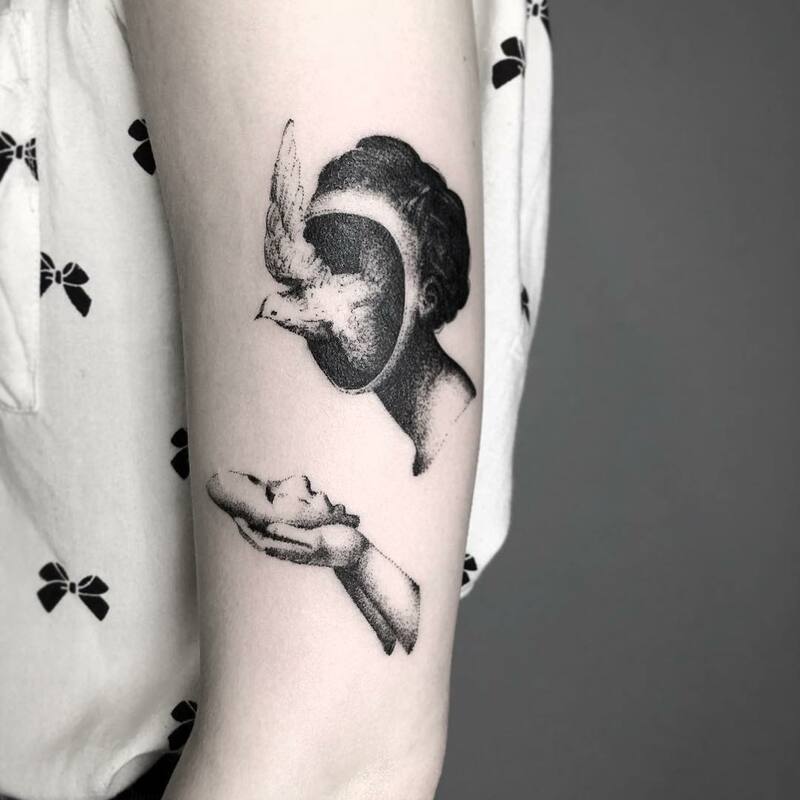 South Korean tattoo artist Woojin Choi, or Oozy, creates detailed black and white works which often incorporate a macabre twist. 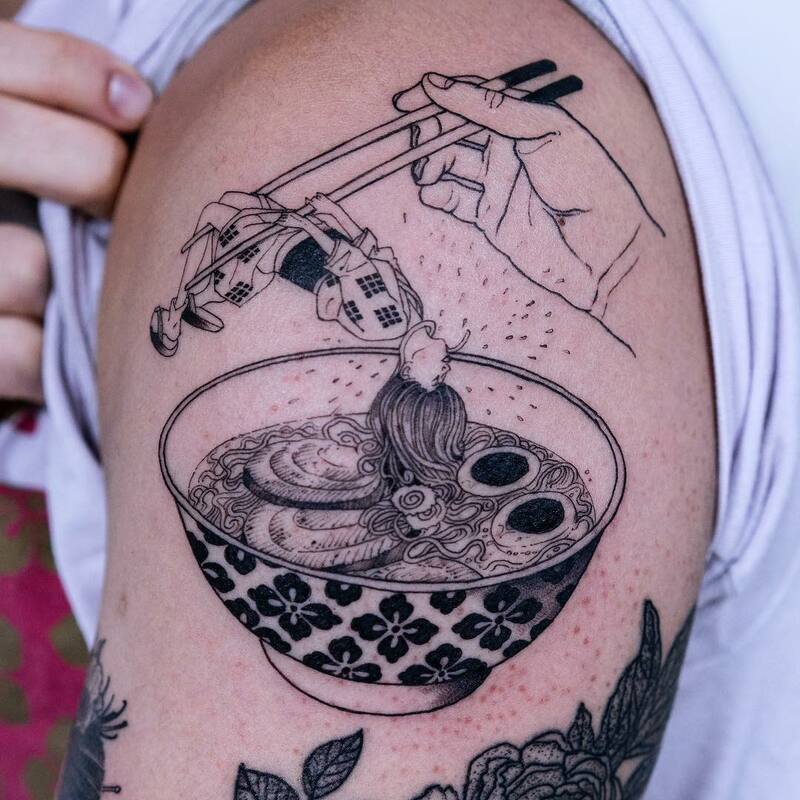 His fine line tattoos explore scenes that are not as innocent as they first appear, such as a geisha who partially hides her own skeleton behind a decorative fan, and a figure who is being lifted from (or dropped into) a bowl of Chashu ramen. 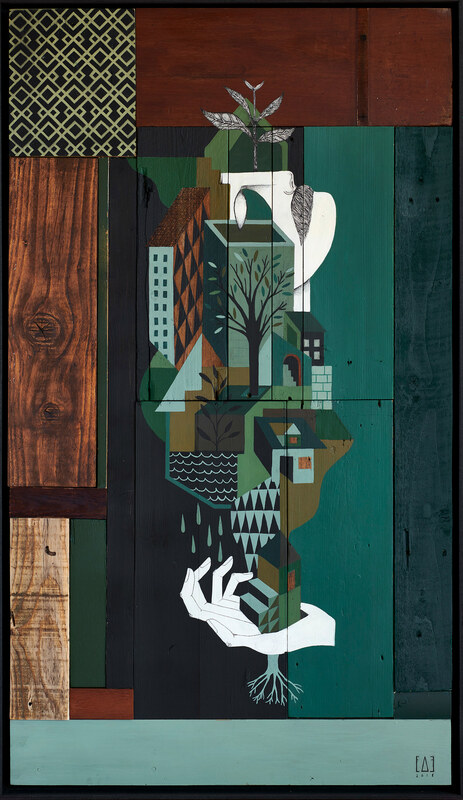 Oozy’s pieces are often very line-oriented, an effect that resonates with the appearance of classic woodblock prints. 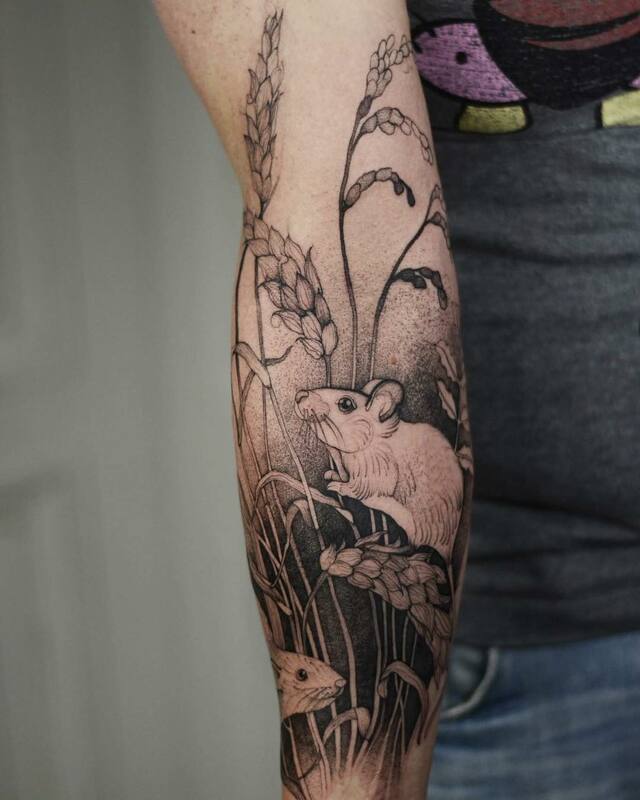 The tattoo artist also associates this aesthetic with his background in animation, a subject he is currently majoring in at school. 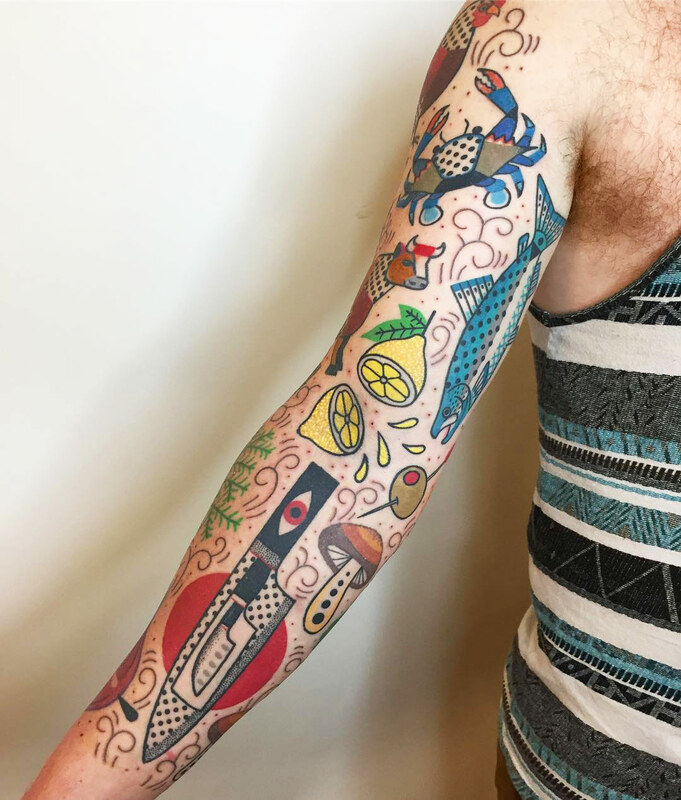 You can see more of the South Korea-based artist’s work on his Instagram.